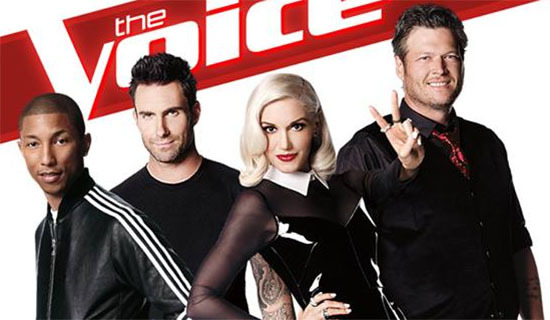 The Voice Season 7 returns with Knockout Rounds tonight, Monday, October 27, 2014! 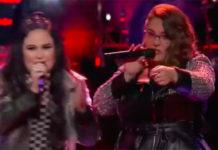 From Battle Rounds, the 33 remaining contestant will now move and vie for a spot in their team in the Knockouts rounds. Country singer Taylor Swift will be helping our judges and contestants as she played as the advisor of the show. We will be recapping the Knockouts episode tonight, bookmark this page and check back this link at 8/7c for updates! Salaz will sing “Heart Attack” by Demi Lovato, while Jones will take on the song, “Love on Top” by Beyonce. The winner for this round is Bryana! Pharrell steal Sugar Joans! 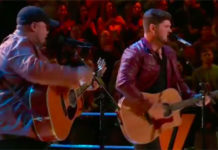 Carter will sing “You’ve Got a Friend” by James Taylor, while Griffin will render the song, “As Long as You Love Me” by Justin Bieber. Shirey will sing “Saving All My Love For You” by Whitney Houston, while Trinidad will render “Superwoman” by Alicia Keys. The winner for this round is Danica! Katriz is eliminated! 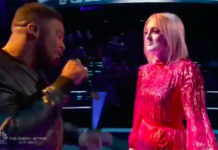 Damien will sing “How Do I Live” by LeAnn Rimes, while Jones will render “Crazy in Love” by Beyonce. The winner of the knockouts is Damien. Toia Jones is eliminated. Pitts will render “Your Song” by Elton John, while Linford will sing “Calling All Angels” by Train. The winner of the knockouts is Jessie Pitts. Tanner is eliminated. Wade will sing “Rich Girl” by Hall & Oates, while Phelan will render the song, “Rather Be” by Clean Bandit. The winner of the knockouts is Luke Wade. Gwen, Adam and Blake are up for steal but Taylor Phelan picks Team Adam. That’s all for tonight! Join us again tomorrow!